With such a diverse and expansive selection, it can be easy to bypass some of the culinary delights in Asia. However, to truly immerse yourself into the cultural and take advantage of everything available, why not try some of these lesser-known Asian dishes? Whether you're a vegetarian, a vegan or a meat-lover, Ma Po tofu has something to cater for all tastes. The tofu is covered in a sea of chile oil to create a delicious vegetarian broth. However, the entire dish is adorned with succulent pork, so it really goes against the grain of what you'd expect from a vegetarian dish. If you're looking for something a little hotter, then the Sichuan peppercorns that are laced throughout the broth are sure to bring your tastebuds to life. This dish is seen as a comfort food in many parts of Asia, and it's incredibly easy to make. Simply boil some rice down in a pan of water for seven hours, and there you have it! The rice breaks down into a smooth, silky, creamy mixture – comfort food at its best! You can eat it plain, or you can add onions, garlic and pork. Whether you're looking for a satisfying savoury dish or a quick and easy breakfast, congee ticks all the boxes. 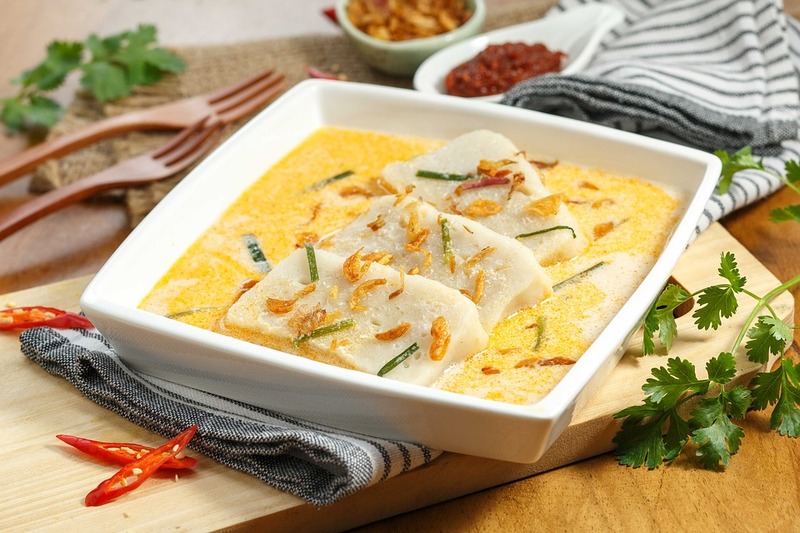 This flavourful dish highlights all that is great about Singaporean cuisine. However, this is a savoury dish and is completely different to the traditional carrot cake. White radish and rice flour are the two base ingredients, and then a whole array of other ingredients are added to construct a dish that comes alive on your palette. Garlic, eggs and a range of herbs are often added to give the dish a splash of colour. Singapore prides itself on its unique cuisine, so if you'd like to sample its delights and explore other fascinating regions of Asia, then booking through an operator like Imagine Holidays is a great way to set your plans in motion. This is hearty, western barbeque cooking, Chinese style. Delicate, fluffy bread buns are stuffed with pork chunks that are smothered in a tangy barbeque sauce. You might not have heard of this dish before, but it's an incredibly popular snack in the in the Cantonese region of China. In fact, this delicacy is often served as a street snack, so you won't have to venture far out of the towns or cities to get your hands on one. What this noodle dish from Thailand lacks in complexity, it more than makes up for in taste. 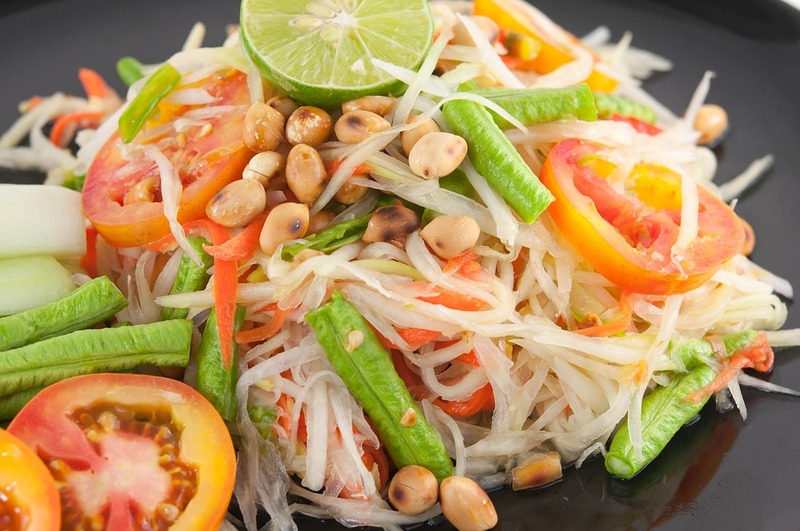 Rice noodles are stir-fried for a few minutes and then peanuts, beansprouts and a variety of Thai condiments are added to give the dish a truly unmistakable, authentic taste. This dish can be adapted to match your preferences - meaning meats and other vegetables can be added at will. If you're looking for something quick to fill you up after a long day of exploring the delights of Thailand, then Pad Thai is the ideal solution. If you're looking for a snack to see you through until dinner time, then Shumai is a perfect choice. It's packed full of flavour and brimming with visual interest, so it really is a treat for the senses. Delicate dumplings are often packed with shrimp or pork. However, other ingredients can be used as a substitute, including scallops and crab. Whatever combination you choose, you can rest assured that this dish will satisfy even the most hard-to-please diners. Dough is wrapped around the filling to create delicate packages, and then the whole dish is steamed to ensure it's fresh when it arrives at your table. A bamboo basket usually comes with Shumai - just to further enhance that Asian feel. Dive into this Thai breakfast classic and start your day off properly. Although the combination of ingredients may sound strange to someone who is new to this type of cuisine; trust us, it really does work! Essentially, this is a Thai omelette. Eggs are mixed with a fish sauce, and then chillies are added to provide it with a real burst of heat. The whole thing rests on a bed of fluffy, steamed rice, and then lashings of sweet chilli sauce are drizzled over the top, delivering a delicious Thai meal. However, you choose to explore Asia, be sure to take advantage of the wide-ranging culinary delights the continent has to offer. Weeee I've tried everything but Mapo Tofu!